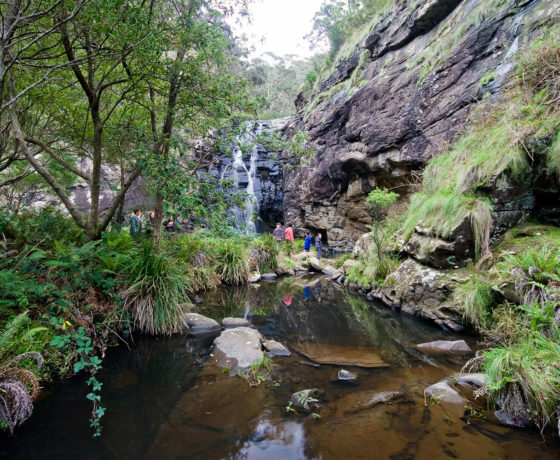 THE FALLS ARE FOUND ALONG THE GREAT OCEAN ROAD. 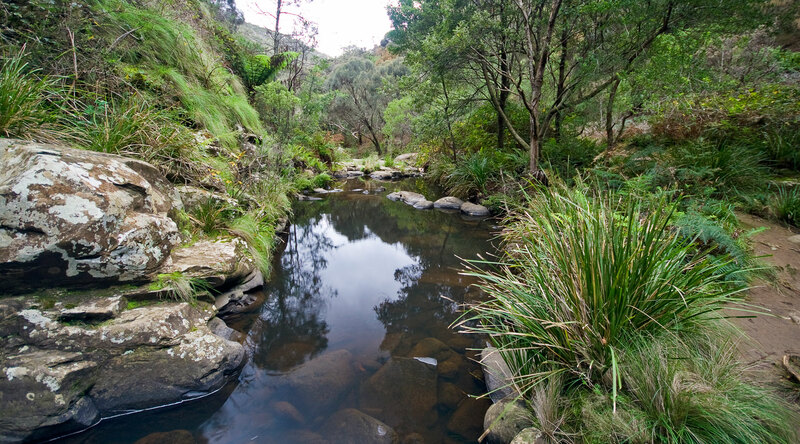 just a few kilometres outside Lorne towards Apollo Bay. 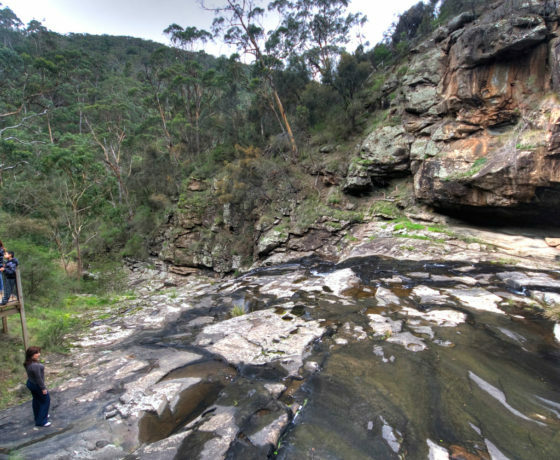 The walk, which begins from the mouth of the Sheoak River or from the carpark is well signposted. 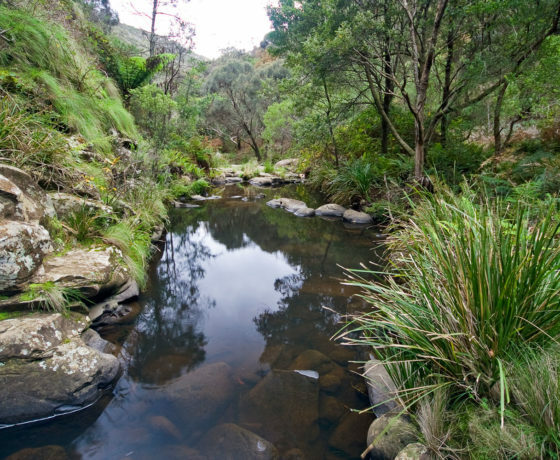 The falls are 15 minute walk from the road with the track climbing to a boardwalk complete with a seat to enjoy the brilliant ocean views before descending toward the Sheoak River. 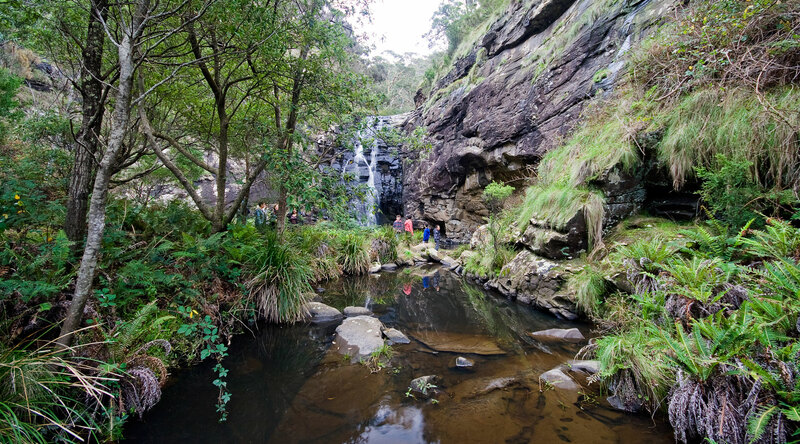 Follow the track to the base of the falls for views of the 15m cascade and deep pool, surrounded by ferns and bracken. 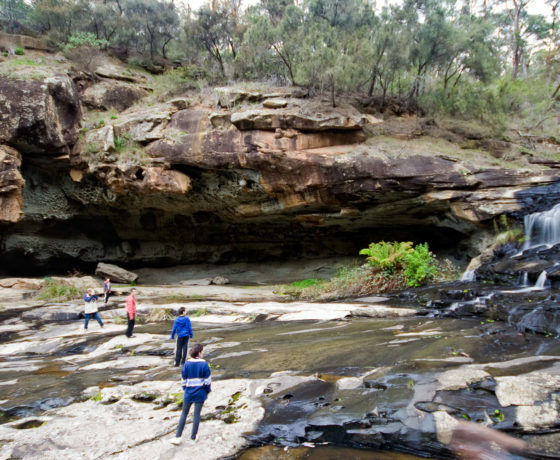 Further along the track is Swallow cave where swallows can be seen nesting in spring. 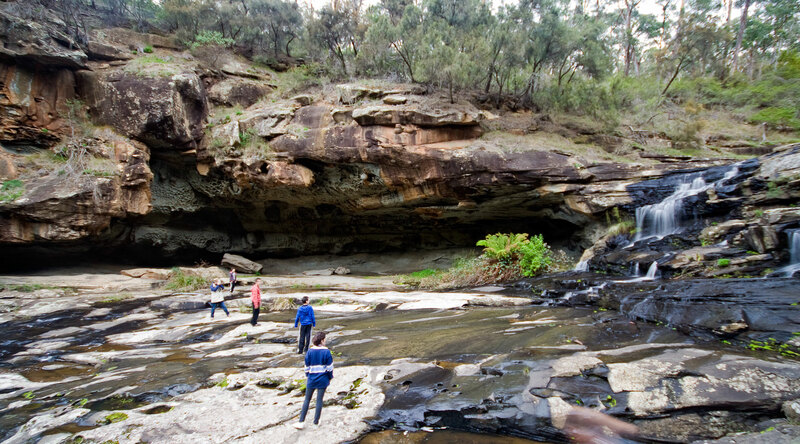 Start from Sheoak Picnic Area and follow the track along Sheoak Creek to Swallow Cave. Welcome Swallows nest in spring among rock crevices. 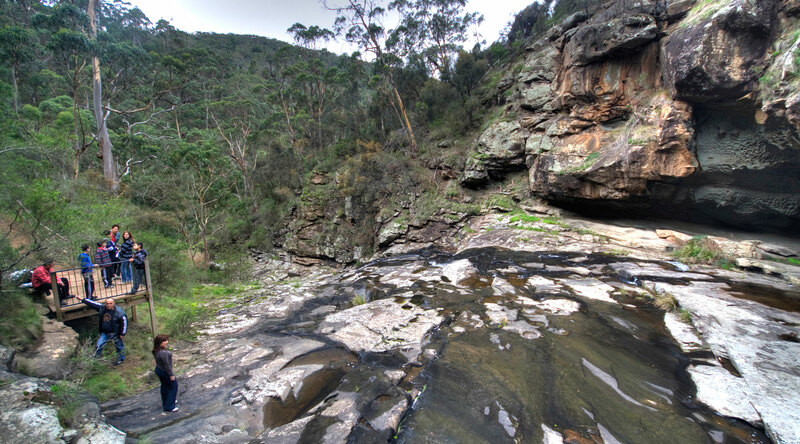 Continue to the 15m water drop and deep pool of Sheoak Falls. Return up the Castle Rock Track Junction. Turn right here and continue to Castle Rock Lookout. Return to Sheoak Picnic Area along Sheoak and Garvey Tracks.